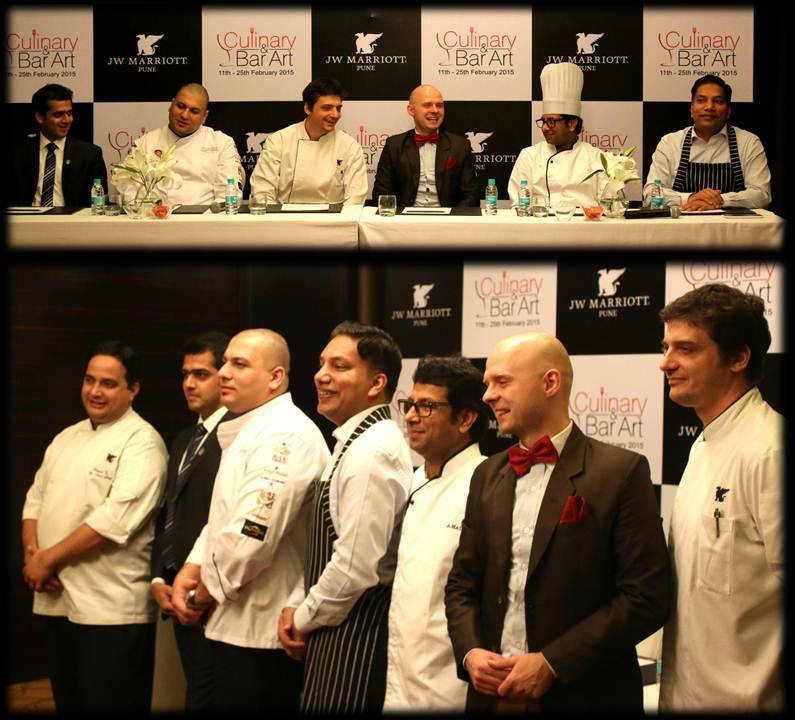 JW Marriott Hotel, Pune in its customary magnificent way is bringing an action packed fortnight filled with food, wine, fun and fervor in the form of the biggest F&B fest of the city called ‘Culinary & Bar Art Fest’. 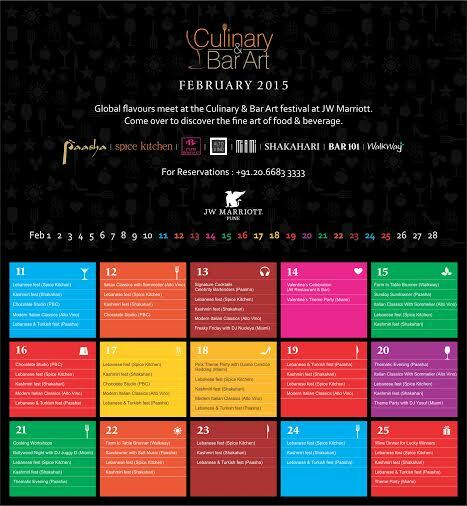 First of its kind in India, “Culinary & Bar Art Fest 2015” is a celebration of global cuisines and bar artistry. Stretched over 15 days from 11th – 25th February, the fest will see celebrity chefs, bartenders and sommeliers from across the world who will be coming together and along with our team of chefs and bar artists, create an unforgettable F&B experience for the patrons. The craftsmen led by our Executive Chef, Ajmal Salim will present a kaleidoscope of unique, trendsetting food and beverage concepts from across the globe. The lovers of the elite gourmet and exquisite beverage experiences will savour the tastes of authentic global cuisine in the Kashmiri, Lebanese and Turkish food festivals at Shakahari, Alto Vino and Paasha. Chocolate studio by Chef Ajmal Salim at PBC will showcase the artisan chocolate creations, Wine tutorials and dinners will take place at Alto Vino and Paasha led by renowned wine makers and sommeliers. There will be cooking workshops for food enthusiasts and for the party animals, Paasha and Miami will be bringing in acclaimed artists like Juggy D and many more. “This is a one-of its kind concept and we are happy to bring this to India for the first time. This fest is a true celebration of the art of food and beverage and we have a lot of events and activities lined for 15 days which I hope our patrons will enjoy”, said Jatin Khanna, General Manager. This entry was posted in Culinary and Bar Art festival and tagged #foodaddaindia, #Pune #Food #Drink #Nightlife, alto vino, beverage, chef ajmal salim, culinary and bar art festival, gourmet, jatin khanna, jw marriott pune, jw marrriott, paasha, pbc, shakahari. Bookmark the permalink.